KATHMANDU, Oct 11: Private carrier Buddha Air has announced to operate international flights by retaining 30% of share and giving rest of the 70% share to the public. Buddha air is also planning to fly in major cities of India and China along with nearby destinations. “We have planned to initiate our international service after completion of Pokhara International Airport, and before that our international unit will be turned into a public company,” said Birendra Bahadur Basnet, managing director of Buddha Air. Speaking at a press conference here today to celebrate the 21st anniversary of the airline, Basnet further said that the domestic unit of Buddha Air will remain under private management. “We will retain 30 per cent stake in the international unit, and the public and local and foreign investors will have the remaining 70 per cent stake,” he added. The carrier has been assessing the Boeing 737 MAX 8 narrow-body aircraft series for the international operation. 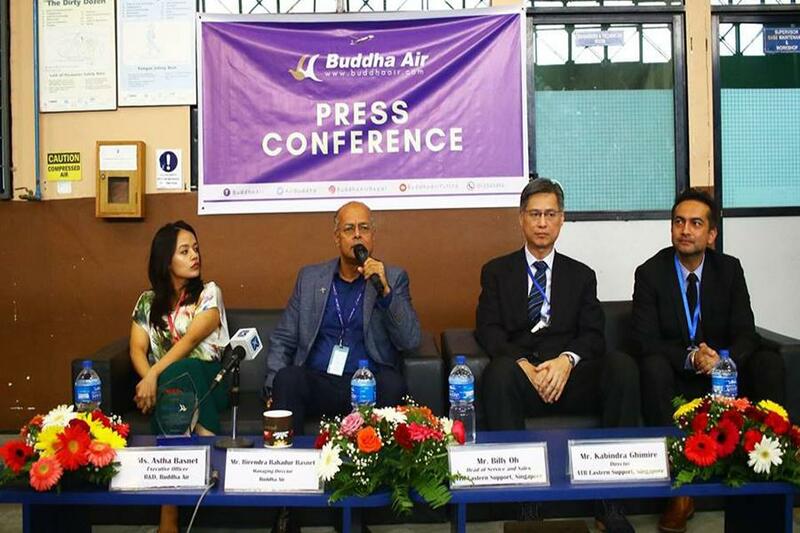 While Buddha Air is currently serving 1.5 million passengers annually, the airline plans to increase the number of passengers to two million after expanding its service to additional international destinations. The carrier’s own study has revealed that the completion of the international airport in Pokhara will enable the lake city to host more than 2.5 million tourists annually by 2025. Buddha Air has already received international flying license. “We plan to fly to major Indian and Chinese cities and other nearby destinations, with Pokhara as our base station,” he added.